Can you sell your app in 30 words? No? Bad news, because that’s all you get in the App Store. These screenshots show the small amount of space available for your app description. 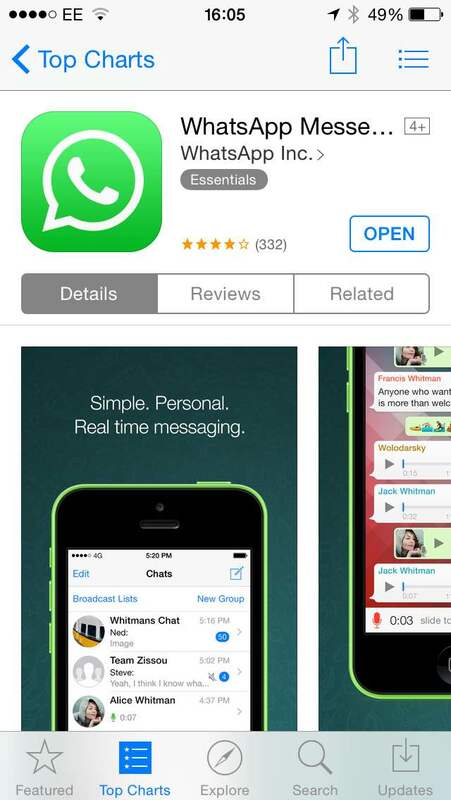 These screenshots also highlight the importance of the app name. This is the only key information shown on the main App Store listing. It is also given a lot of real estate on the app detail screen. The most important aspect of these screens are the screenshots. These take up the majority of the screen. 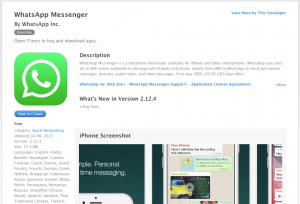 The first screenshot can be an app preview video. With limited opportunities to sell to a user, these 15-30 second app preview videos are a great option. Another common option is to add header/footer text or captions to your screenshots. This allows you draw attention to the key benefits or features of your app. I’ve created App Store templates for experimenting with icons, descriptions and screenshots. This allows you to consider how a user will interact with your app at the point of sale. This should be a significant consideration as part of your design process. 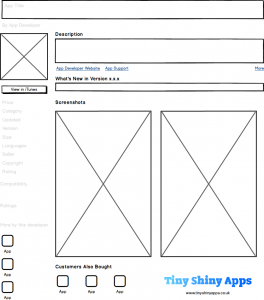 You can use these screens as a starting point for creating your app. Build your sales messages into your plan from the start. Can you easily describe your app? Can you show the benefits of the app in a screenshot? Will your users understand it? 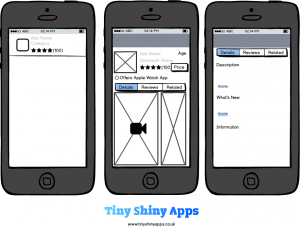 Download these free resources as PDF’s and start planning your app. This entry was posted in Apple, Development, iOS, iPhone. Bookmark the permalink.